I can’t believe January is already over, good grief, but I’m ready for a new month! 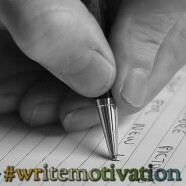 Time for another round of #WriteMotivation. Get all of assigned Ferret A-Z posts written. – Ferret business meeting over the weekend was mostly devoted to figuring out our posts, and at least one of mine might turn into a fairly long essay. Wheee! My assigned letters are E, J, O, T, and Y, if you’re curious. Start organizing filing cabinet. – There’s a box on my office floor. I’m ignoring it. Because I don’t think everything is going to fit in the filing cabinet. Read at least one writing craft book, and one non-fantasy fiction book. – I honestly have about three writing craft books that I’m in the middle of. I need to pick one and finish it. And I’ve had ‘The Help’ checked out from the library for a month. I’ve got a post up over at The Rabid Rainbow Ferret Society today! Go see what I have to say about first drafts. Oy! Filing cabinets. That job has been sitting on a backburner forever. LOL. I’ve got to get it done sometime, but I might wait until hubby is retired. We need to do a serious document purge. I wish I could wait until my hubby was retired… but that’s at least 20 years off, if our generation CAN retire with the way the economy is going (which is the whole reason – besides trying to be more healthy – for striving to be self-sufficient in the first place). But… even so, if I waited 20 years to catch up on the filing, that would be a monster pile of paperwork, ha! I’ve already figured out all my topics, so now it’s just a matter of sitting down and creating the content. It’s going to be brain exercise, that’s for sure! Thanks! You always amaze me at how many things you put yourself to each month. I’ll be waving the pom poms no matter what! I know the non-writing goal of dealing with the filing cabinet isn’t your most exciting on this list, but I know you’ll feel infinitely better when it’s done. GO BEKAH! It’s better to make yourself stretch as long as it doesn’t get you down in the end. I think planning for a bit more makes us work as productively as possible. I think you’re doing great and plan on cheering as much as possible for you to get your goals accomplished. As a geographer, I want to see that world map, and I find myself very curious about the RR Ferret Society….Good luck on all your goals!! And I love the way you customized this theme. I will think about uploading the map when I’ve found/finished it. The RRFS can be found at fictionalferrets.wordpress.com. We try and have fun while being educational over there, but a lot of the time we’re just having fun, lol. Your filing cabinet should say hello to my desk- bet they’d get along great! Good luck with your goals this month, and maybe let us know what you thought of the craft book when you finish it. We’d love to hear! I will definitely share my thoughts on whichever book I decide to read this month! I’m working on my A to Z challenge posts as well (sort of the same type of thing as last year) but for you to do TWO sets of A to Z challenge….that’s a challenge!! Go you! And I literally just tried to comment on your blog post, and got a 503 error >_<. Awww I just checked it. Seems to be working. At least, now anyway. Maybe it just hiccuped. I’m with LadyJai! I was feeling a bit overwhelmed with the A-Z April Challenge, but I will now hold my tongue! I’m working on getting my A to Z posts ready too. I have my theme and words picked out. I’m excited for the challenge and always look forward to it. A-Z is a lot of fun, and definitely more enjoyable when everything is written ahead of time!